After several negative trials, the possibility of treating epilepsy with fish oil has seen a glimmer of hope with a new randomized trial suggesting a significant benefit with a lower dose than has previously been tested. The study, published online September 9 in the Journal of Neurology Neurosurgery & Psychiatry 9 and conducted by a team led by Christopher M. DeGiorgio, MD, Department of Neurology, UCLA School of Medicine, Los Angeles, California, showed a significant reduction in seizure frequency with the low-dose but not the high-dose treatment vs placebo. Dr. DeGiorgio told Medscape Medical News that the results of this study may reinvigorate interest in fish oil research for epilepsy. “Previous studies of fish oil in epilepsy have been negative, which has been very disappointing after promising animal data. The disappointing clinical results have caused interest to wane, but this is the first study to look at a low dose,” he said. He explained that the previous studies tested a dose of fish oil containing 1700 to 2000 mg of omega-3 fatty acids per day. This is similar to the higher dose in the current study, which also showed no effect. But the lower dose in this study — 1000 mg of omega-3 fatty acids per day — showed a reduction in seizure frequency of about one third. “This is quite remarkable given that the patients included all had intractable epilepsy,” he commented. But he cautioned that the current study was small and the results need to be confirmed in larger studies before any clinical recommendations can be made. “It’s too early to make any definitive statements, but I am excited about what we found and what the future may hold,” he added. The randomized, double-blind study included 24 patients with intractable epilepsy who averaged 18 seizures per month while receiving placebo. In a 3-period crossover design, each patient underwent 3 treatment periods of 10 weeks’ duration with low-dose fish oil (1080 mg of omega-3 fatty acids daily as 3 fish oil capsules per day); high-dose fish oil (2160 mg daily as 3 fish oil capsules twice a day), or placebo. In between each treatment period there was a 6-week washout. Patients continued to receive their current antiepileptic medication throughout the study. Results showed that the low dose was associated with a 33.6% reduction in seizure frequency compared with placebo (P = .02). High-dose fish oil was no different than placebo in reducing seizures. He said he was surprised at first to see an effect with the low dose but not the high dose, but there is a potential explanation for these observations. “When we got the results back, I was shocked and a little perplexed at first, but having thought about it some more I am now very encouraged,” he told Medscape Medical News. He noted that some animal studies have also suggested that lower doses of omega-3 fatty acids have a better effect on reducing seizures than do higher doses, and a great antidepressant effect has also been reported with a lower dose in a clinical study. Dr. DeGiorgio explained that omega-3 fatty acids are believed to work by regulating the passage of sodium and calcium ions into brain cells. These ions increase excitability of the cells and can trigger seizures. “Omega-3 fatty acids cause these ion channels to close earlier than normal, so blocking sodium and calcium entry to the cell. Too high a dose could cause sodium and calcium levels inside the cell to fall so low that other excitatory mechanisms are triggered,” he suggests. “The 1000 mg/day dose has shown benefits in heart disease, and epilepsy patients have a higher risk of cardiovascular disease,” he says. 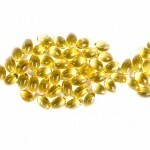 However, the most recent trials of fish oil have failed to show a benefit in cardiovascular disease. Dr. DeGiorgio noted that the 1000-mg dose may also reduce blood pressure and has shown some preliminary positive results in depression and cognition. “Indeed in our study, we also measured cognition, and while we haven’t processed the exact data yet, we are pretty sure we’ve seen an improvement in memory and thinking with the 1000-mg dose,” he noted. Before any definitive claims in epilepsy can be made, a larger study is needed, he added. Dr. DeGiorgio is hoping to conduct such a study and is optimistic that these results will help him acquire funding. 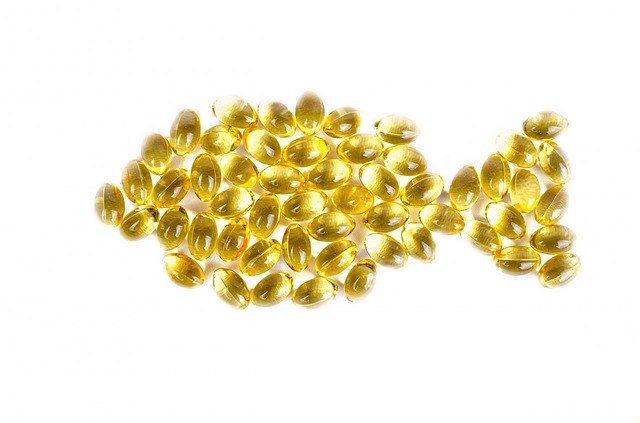 Most recent trials of fish oil in cardiovascular disease have failed to show any benefit. The study was funded by grants from the National Institute of Health, National Center for Complementary and Alternative Medicine; Clinical Research Center Grant, and by the generous support of: James and Beverly Peters, The Kwock Family, Marc and Teri Jacoby, the Salter Family Trust, Pepper and Joseph Edmiston, Mrs Elsie Bierner-Johnson, Richard and Linda Lester, Robert and Linda Brill and their families. Dr. DeGeorgio is a part-time employee of NeuroSigma, a device company, which develops devices for epilepsy and other disorders.